Like this since she was a toddler. Taken out of school b/c mom said she doesn't want to waste her money on a kid who will die. Over the past 2 years I have taken this girl to multiple hospitals, medical clinics and followed her closely. And over the past 2 years prayed and prayed (and prayed) for her. Hoping to get a CT scan for Nadine in the next few weeks. Then when we have a diagnosis-start looking for care in the US. 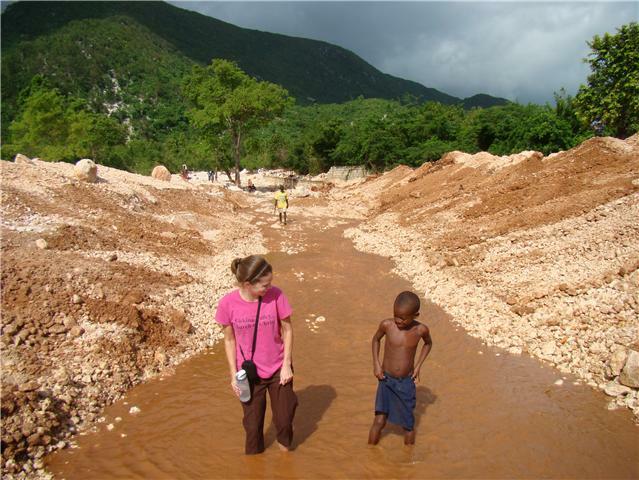 This is what Angel Missions Haiti does. I hope to help them help you all meet the kids. My prayer is these kids become something other than a photo to you. Something other than a another story about Haiti. Become involved. Become a prayer warrior. Become a donor. Become a host parent. Ginny, saw your dad last night at Brothers Quartet Reunion Concert. Made me think of you in Haiti - said a little prayer that God would bless all that you are doing. We are proud of you and pray that God will give you all that you need and more than you can imagine.